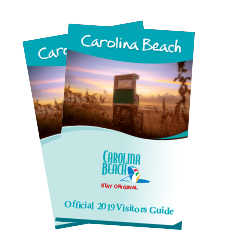 Carolina Beach is home to some of the regions most popular fishing tournaments and surfing schools. Reelers revel in catching the big one at the Southeast King Mackerel Tournament. The beach becomes an angler’s paradise in the fall with a frenzy of seasonal fishing tournaments including the Carolina Fall King Challenge and the area's premier family-friendly surf fishing tournament, the Pleasure Island Surf Fishing Challenge. Compete in a longboard club surf contest or try your hand at surfing at the Tony Silvagni Surf School, owned by professional surfer and Olympic Gold Medalist Tony Silvagni. Both anglers and surfers alike pursue their quest from our shore.